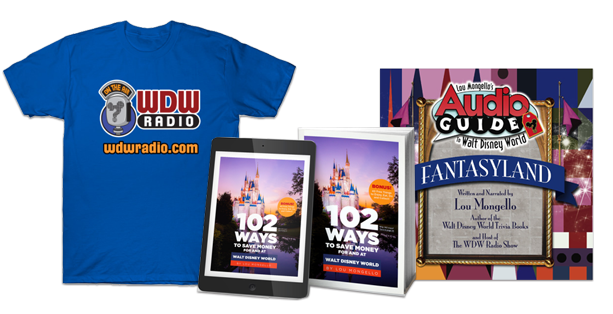 Being in Walt Disney World during the holiday season presents itself with many advantages, and of course one of these is being exposed to many great ideas for family gifts. The Resort is filled to the brim with many unique souvenirs all 12 months of the year, but at Christmastime there is an even expanded abundance of things to bring home for loved ones that would make the perfect gift to unwrap on December 25. Here we’ll look at some items that might spark the interest of the teens in your life. Before we delve into fun ideas, we must first address what to avoid. It’s easy to purchase the first Selena Gomez CD you find and call your mission accomplished, but don’t! Not only are there more original items to be found throughout Walt Disney World than a CD or DVD you could locate at any store around the country, but on Disney property you’ll find that media-related items are extremely overpriced. The same exact music album or movie sold in the Emporium may be found at Walmart or Target for a fraction of the price. The same goes for books (head to Amazon!). However, there are a few exceptions. Some titles are park-exclusive and are not available elsewhere, like the Imagineering the Magic DVD, official park albums, or souvenir coffee table books. In those cases, prices still may be high, but are a little more justifiable since their availability is so limited. For Christmas-themed presents specifically, the Candlelight Processional and Holiday Wishes soundtracks (sold separately) come to mind. There are quite a few things that you’ll only find when you visit during November or December. A vast array of plush toys, tree ornaments, and home décor are all rolled out during this time that have Mickey and pals dressed for the season. But what about for teens? Often I find myself buying something on a Disney trip that I initially think is really neat, only to come home and find little to no use for it other than to put it on a shelf somewhere. For the Disney teenager, two practical ideas come to mind, and unsurprisingly they both involve clothing. The first is a holiday-themed tee shirt. I know, not so original at first glance, but you’d be surprised at the assortment of styles Disney stocks that are quite fun. I personally have a liking toward the vintage-looking, worn-out styles. A particular favorite is of pie-eyed Mickey in a standard pose but with a Santa hat, and the original, 1970s-style Walt Disney World logo emblazoned in front of him. I always look forward to when it’s time to find it in the depth of my shirt drawer. Another idea is a Santa Claus hat. Nowadays Disney sells quite a few different styles of Santa hats so pretty much every member of your family can get a different one if so desired. This also helps to add a bit of personality to each hat—the red-and-green plaid hat was great for me while my sister preferred a plain red one with a Minnie bow on the front (both of them, of course, have mouse ears attached!). Others include styles for Eeyore and Tigger if I remember correctly. At one point Disney also sold a Stitch style, but we were told in 2010 that they had been discontinued (though that might have changed since then!). Unlike other Disney headgear that gets minimal use outside of the parks, the Santa ears are perfect to wear to holiday parties or family gatherings. 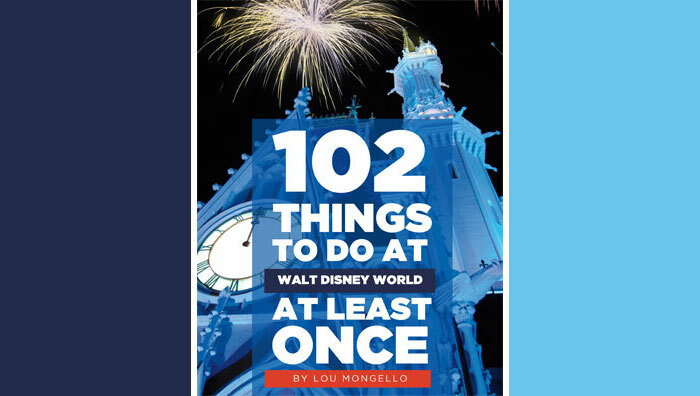 If you aren’t looking for something with a specific Christmas theme to it, there are plenty of other appropriate gift ideas for teens throughout WDW, as well. Again, Disney has some great shirts. (The one with the Finding Nemo “Mine! Mine!” birds on it is hilarious.) If you know someone who visits WDW often, get them a few pins—but here’s the catch: get them pins you know they won’t like. This way they’ll be able to bring them on their next trip to trade for ones they do like! It literally allows them to choose their own Christmas present, while at the same time extending the present’s charm long past Christmas morning. Remember to purchase these pins from the least-expensive category since they will be traded—and the more obscure, strange, and ridiculous, the better! For instance, if your teen loves Pirates of the Caribbean or The Avengers, you might want to seek out some cute, lovely, drenched-in-pink princess pins. Another way to add some originality to a gift: if the teen you’re buying for is traveling with you to WDW, you can have them pick out a present for themselves without even knowing it! This happened to me a few years ago. My grandmother was looking at blankets in the Magic Kingdom and told me she wanted to buy one for a relative back home. She asked me which one I would like best if I was buying one for myself, and that’s the one she purchased—little did I know I would be opening it up for myself on Christmas Day! This being Disney World, it isn’t difficult to find a gift shop. Fun shirts can be found everywhere. You’ll find small displays of practically the same Christmas items in every single resort’s gift shop and in every theme park’s big stores. However, there are three definite places to go if you’re looking to find a more expansive collection of Disney holiday goodies: Ye Olde Christmas Shoppe in the Magic Kingdom’s Liberty Square, It’s a Wonderful Shop near the Streets of America at Disney’s Hollywood Studios, and Disney’s Days of Christmas in Downtown Disney Marketplace. All are great choices with tons of really neat things inside, with Days of Christmas having the largest assortment of the three. And best of all, all locations are open year-round, so even if you’re not visiting during the holiday season but still have your Christmas shopping in mind, they’re the places to go. Blake recently graduated from high school and has been surrounded by Disney literally since birth, having had a Mickey mobile in his crib. Blake enjoys helping peers plan WDW vacations and writing for his Disney blog, BlakeOnline.com.